Holiday joy was in the air Thursday night at the annual New Haven Tree Lighting. NBC Connecticut is proud to be connecting you to joy with this holiday event. 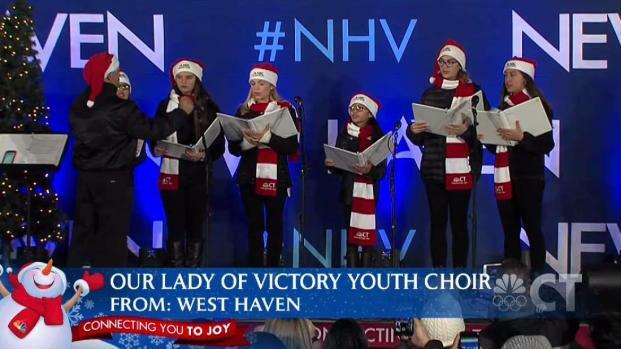 The youth choir from Our Lady of Victory Youth Choir in West Haven performed to the crowd after winning the NBC CT Choral Contest. During the contest, the choir received nearly 5,000 votes of the almost 10,000 cast online. The choir was led by director Ed Perez. 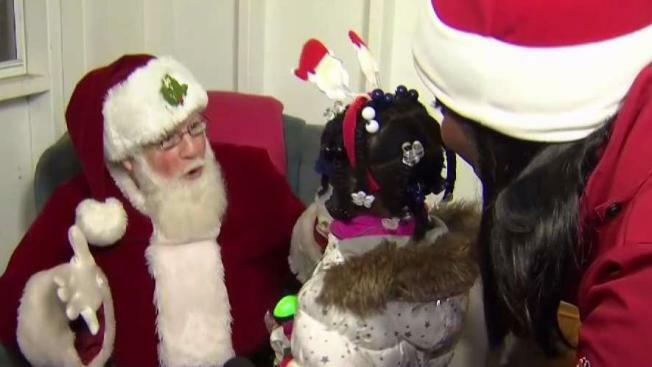 Of course, Santa greeted children to hear their holiday wishes. NBC Connecticut is connecting you to joy this holiday season. NBC Connecticut’s Snow Monster also made an appearance. While the verdict is still out on whether we’ll have a White Christmas, Snow Monster is ready to go with nine cameras, top of the line technology and the ability to drive in volatile weather conditions. The centerpiece of the evening, the tree, arrived on the green in late October. It was cut from Elizabeth LaPointe’s yard in Branford earlier that morning. The 65-foot-tall Norway Spruce weighs more than 10,000 pounds and had been on her Branford property for more than 50 years. This was the first year there was no limit on the number of lights on the trees – the city used LED lights which use a lot less energy. In the end, 30,000 LED bulbs glowed brightly when the switch was turned, showering the green with holiday cheer. Throughout the holiday season, residents and visitors will be able to enjoy special events in New Haven, including laser light shows, ice carvings, and carriage rides. NBC Connecticut is proud to be the exclusive television media partner of the winter festivities in New Haven.